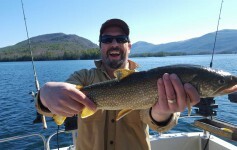 Welcome aboard the Highliner and welcome back to Lake George, New York. 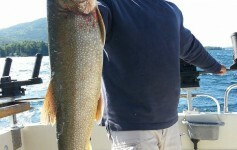 It promises to be a fantastic season for Lake George fishing- the lakers are biting and the spring weather is here. We’ve had some beautiful sunny days. 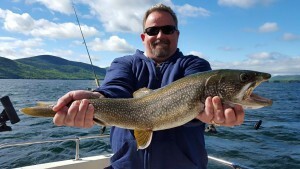 A mighty wind was blowing today, but it brought with it great fishing- check out these and make your plans to spend a few days here with us on Lake George. 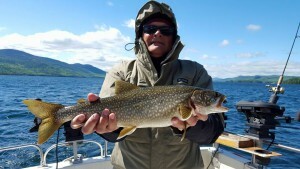 The village and inns are open and waiting and , of course, the charter fishing is excellent. 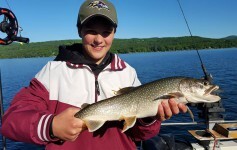 Next Article Lake George Fishing Report 2015- They’re biting !